21 available 21 items in stock. The MyoWare LED Shield is designed to pair with the MyoWare Muscle Sensor. The blue 10-segment bar graph shows the magnitude of the measured signal. The more muscle activation measured, the higher up the board the lit LEDs will go. 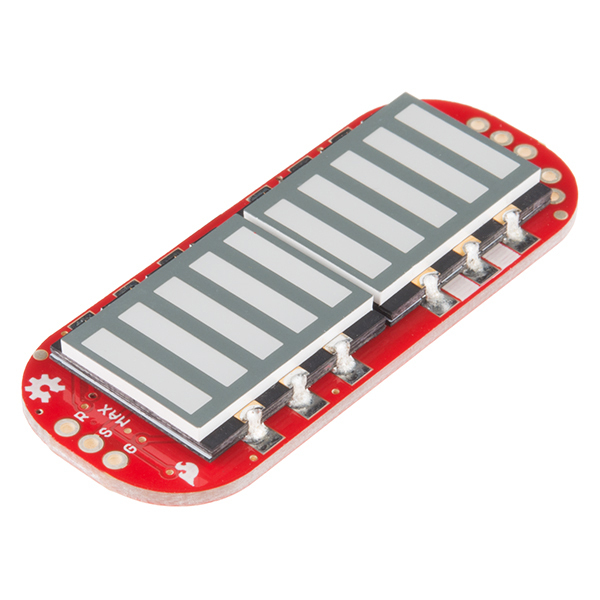 With this shield you will be provided with a visual representation of the signals provided by the MyoWare Muscle Sensor and an on-board lithium polymer (LiPo) power source. This shield is likely to be the top board in a stack, so solder on some 1x3 male headers and plug into the sensor board. The power is supplied on the LED shield, but controlled by the power switch on the sensor. Once the stack is assembled, snap on some electrodes and stick the sensor on the target muscle. 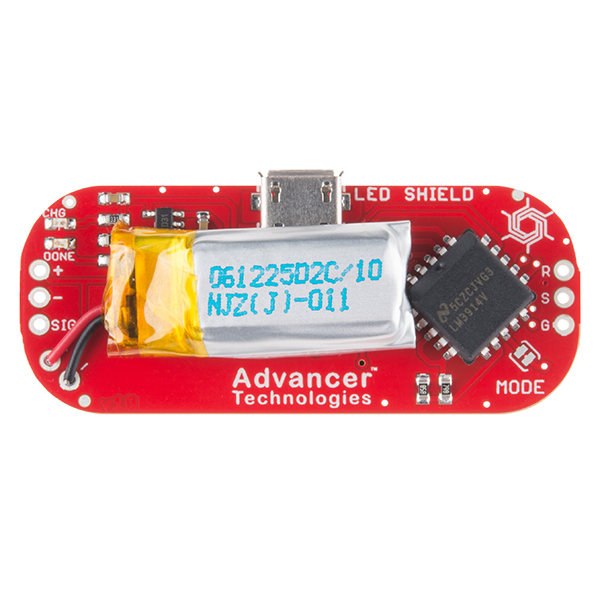 The MyoWare Muscle Sensor to which this shield attaches is an Arduino-powered, all-in-one electromyography (EMG) sensor from Advancer Technologies. The MyoWare board acts by measuring the filtered and rectified electrical activity of a muscle, outputting 0-Vs Volts depending on the amount of activity in the selected muscle, where Vs signifies the voltage of the power source. Note: The MyoWare Power Shield and the MyoWare LED Shield both provide power, but at slightly different voltages. Don't use both of these shields at the same time. For the curious (I know I was...). Thank you, exactly what I was hoping to find in the comments. What is the battery energy capacity???? 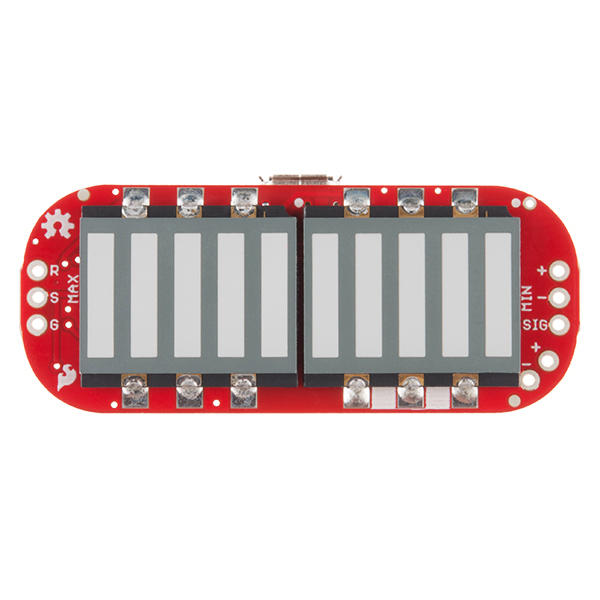 How do you charge the LED battery? 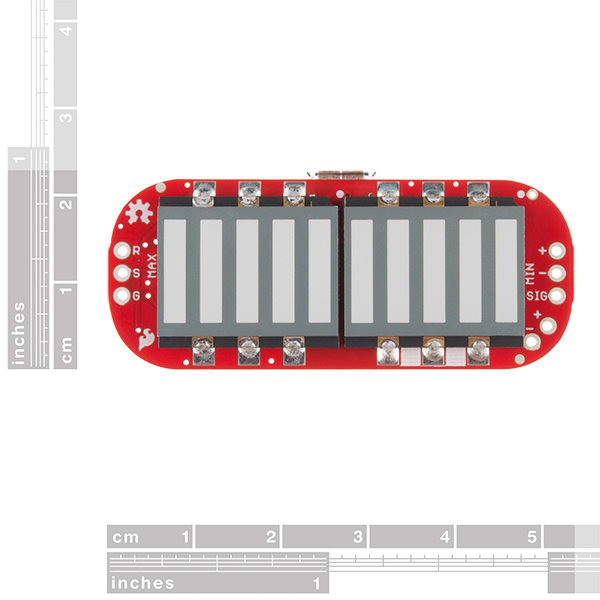 The battery can be charged by connecting a micro USB cable to the board, and then connecting the cable to a computers USB port or a USB phone charger.